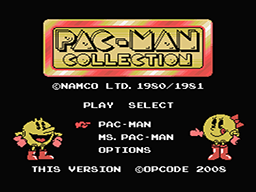 Point to Pac-Man with the hand cursor on the title screen and press 7, then 5, then 8 and finally 7 on the 2nd Hand Controller Keypad to unlock this hidden gem of a game. 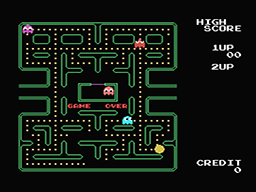 Opcode is bringing the Pac-Man family back! 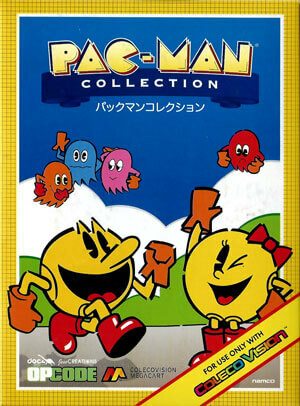 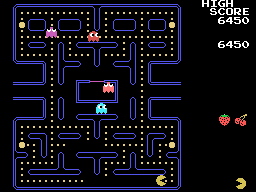 Pac-Man Collection features two of the most popular video games in American arcade history, the original Pac-Man and the addictive and charming Ms Pac-Man. 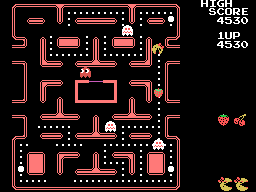 Who can forget the countless hours and quarters spent evading the pesky ghosts while chompin' on the dots and gobbling up the fruit for bonus points! 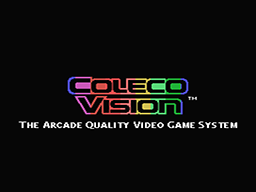 Relive these arcade classics on your own ColecoVision!